D.A.F. - What is Dafyomi? 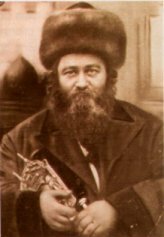 "Dafyomi," or a "page (Daf) a day (Yomi)," refers to the system of Talmud study founded in 1927 by Rabbi Meir Shapiro, Rabbi of Pietrkov and Lublin, representative of the Jewish community in the Polish senate, and one of the foremost leaders of world Jewry. Although Jews have always studied the Talmud, Rabbi Shapiro's goal was to unite Jews all over the world by having them study the same page of Talmud each day, and to enable the Jewish layman to accomplish the great achievement of completing the entire Talmud which, with his system of a page a day, would take seven years (2,711 pages). Today, Dafyomi study is often structured around a daily, hour-long lecture or study group. Almost invariably, one who has succeeded in completing one Dafyomi cycle will enthusiastically start the cycle all over again. An entire lifetime is not enough time to truly master the Talmud in all of its aspects. Because of the vast breadth and depth of the encyclopedic Talmud, only those with a very strong commitment to complete the Talmud actually make it through the seven-year cycle. It requires much discipline to structure one's daily time for Talmud study around inclement weather, family celebrations, vacations, and the like. Since the Talmud is the essence of traditional, authentic Judaism --as it comprises the Oral Law and forms the basis for Halachah and Jewish living -- one who is familiar with the various sections of the Talmud has a more profound understanding of Jewish ethics and practice and finds his day-to-day living much more meaningful. The Dafyomi Advancement Forum has loads of helpful study material on the Daf, updated daily, to make things easier for you! Or see our Dafyomi Central Headquarters section, to see what other resources are waiting for you on Web.